Braun Building Center in Manitowoc, WI, is your premier source for building supplies, residential/home design, kitchen & bath design, and so much more. Serving you since 1968, our expert staff will help you with everything you'll need to build it and fix it, from windows and doors, countertops and cabinetry, roofing and siding, and custom roof trusses, to drywall, insulation and deck design and decking. DIYdecorStore.com is the online retailer of ACP home décor products including Fasade backsplash, ceiling and wall panels, Aspect Peel & Stick backsplash tiles, Genesis ceiling tiles, HG-Grid, CeilingMAX and Evoba ceiling products and more. 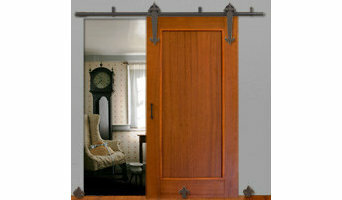 ACP is committed to quality and helping DIY'ers beautify their surroundings with innovative products. Whether you're a novice do-it-yourselfer or a seasoned professional, we'll give you the products and the how-to instruction to easily surround yourself in style. Eden Stone was established in 1950 by Emil Gesell and his sons, William and Robert Gesell. Humbly founded as a simple gravel yard in Marblehead, WI, Eden Stone began with one quarry, an old truck and a few strong backs. Following the death of their father, Bill and Bob capitalized on the unique beauty of their quarry stone by expanding their product line into hand dressed veneer and landscaping materials. The company grew into the Milwaukee and Chicago markets in the 1960’s and throughout the Midwest by the early 80’s. During those early years, the Gesells invested in better cutting equipment, improved their facilities and slowly built a small fleet of trucks to service regional customers. As their market grew, the Gesell’s purchased quarry land in nearby Oakfield and Chilton to expand their material options and provide a broader color palette to their increasing customer base. When Bob retired in the mid 1980’s, Bill tapped his sons and son-in-laws to help him develop the company. Together, they expanded Eden Stone’s reach even further into the cut stone market by acquiring Valders Stone & Marble, an internationally recognized, dimensional stone producer near Manitowoc, Wisconsin. Valders had a long history in its own right, beginning in 1906, when it started operating as a lump lime producer. Lump lime, used as an ingredient in mortar and cement plaster, was a booming product for many years. It was in the 1950s that the company first began to cut its stone based on the observation of an engineer. He recognized the superior quality of the material and suggested that it should be cut into architectural stone building materials. His recommendation stuck. Shortly after that encounter, Valders began working with builders on residential and commercial facilities in the region. In 1992, Valders became part of the Eden Stone family as our dimensional cut stone division, bringing new talent and rich history to the team. Both Valders and Eden stone products are widely recognized for superior quality and durability. Projects using our material can be found around the world on buildings in North and South America, Europe and Asia. Eden Stone is currently in its 4th generation of family ownership and consists of 9 quarries, 3 processing facilities and close to 180 employees. As a world leader in the manufacture and supply of adhesives and sealants, our products are at work in the construction, transportation, packaging, personal care and hygiene, industrial assembly markets, and much more. Lemke Stone, Inc. is based in Lannon, Wisconsin. We handle a variety of natural stone products for the "do-it-yourself" homeowners as well as professional landscapers, masons and contractors. We specialize in Cobblestone, Boulders, Lannon Stone and Bedford Stone. Our four state-of-the-art saws allow us to custom design stone products to enhance the beauty of your home or business. Our staff, with over one hundred twenty years of combined experience, will assist you in choosing the right stone to complete your project. We offer prompt personalized service to provide you with a positive, stress free, selection process. 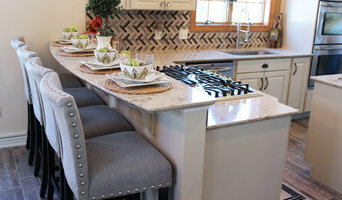 Please stop in and browse our vast selection of quality stone products. Quarrier and fabricator of architectural and dimensional cut stone products. We are based in Valders, Wisconsin about 85 miles north of Milwaukee and are a division of Eden Stone Co. Inc. Valders material is type III dolomitic limestone which is the highest quality limestone in the world. The materials we've produced have been installed on and in buildings around the world. Valders stone provides an impressive, durable and easily maintained building and flooring material. Residential & Commercial Design Services including Engineer Stamped Plans Log Home Manufacturing Log & timber building components including full log structures, log siding, structural log & timber members, character logs and log & timber accents. 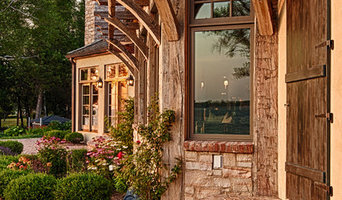 Expedition Log Homes was created through a shared passion for the natural character and beauty of wood found in log homes, and has grown through a commitment to providing quality products and services. This shared vision has led to a business environment founded upon honest, straightforward dealings with others. Our experience has taught us that no two projects are the same. We've learned what distinguishes an exceptional personal retreat from an ordinary home. We understand that your own personal vision of home is unique and embrace the opportunity to bring that vision to life. We believe that each project has the opportunity to set a new standard and enthusiastically work to assist you in realizing your ideas within the budgetary framework that you've set. The craftsmen at Expedition Log Homes have designed a log style for every taste. They know that a quality log home begins with the logs. We pride ourselves in using a process that starts with raw logs harvested from sustainable forests. We control waste by cutting to yield (creating the best piece from each log) and make total use of each tree through the additional manufacture of farm bedding and landscape mulch. We provide superior quality by kiln-drying and enhance the natural beauty by hand-crafting with a drawknife. Crafting logs this way takes time, skill and dedication. We do it this way so that we can offer you the best quality possible. If you’ve never been involved in building a new Kohler home or doing a house renovation, you’ll be amazed at the variety of Kohler, WI building supplies and manufacturers that exist today. With today’s emphasis on chemical-free and recyclable products, you may find a Wisconsin lumber supply company that specializes in salvaged, recycled and reclaimed wood. Reclaimed wood projects and applications can include custom interior walls, wide-plank flooring, barn wood sliding doors and more. Find lumber and building supplies on Houzz. Narrow your search for Kohler, WI lumber supplies and building supplies by selecting the nearest city or zip code. Find trusted lumber companies and hardware suppliers with reviews from residential builders, interior designers and homeowners.